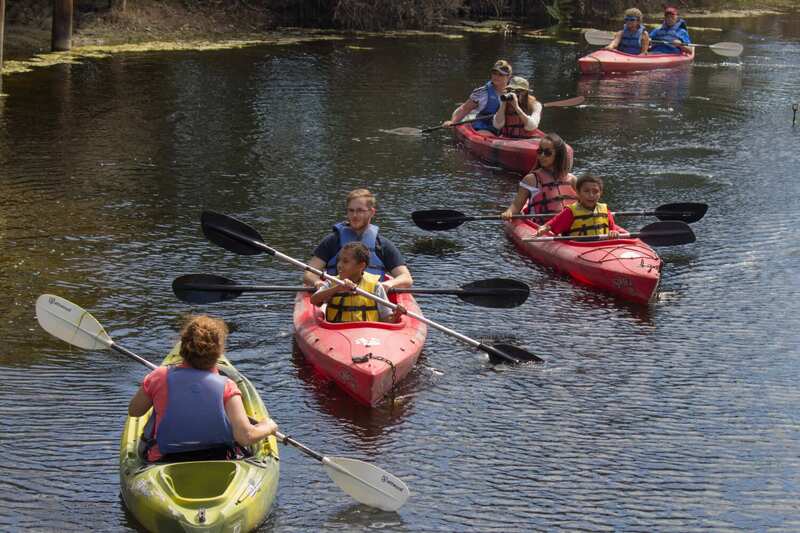 We are the only Zoo in the country to offer guided kayaking tours around an animal exhibit. 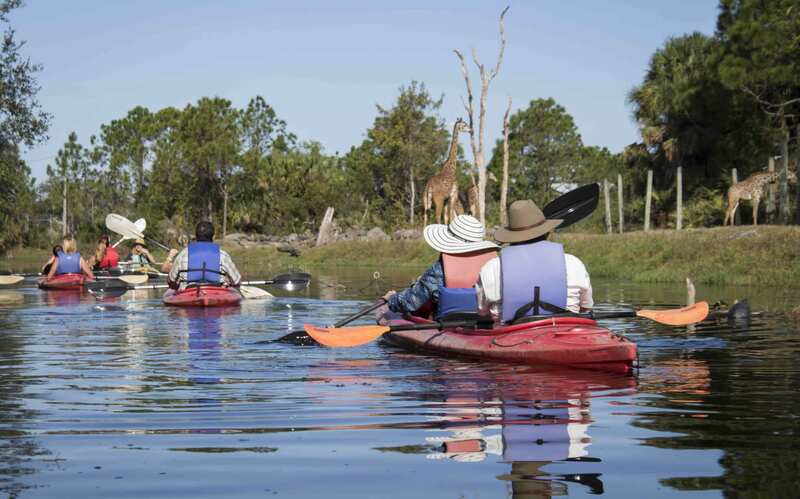 Choose a guided kayaking tour through Expedition Africa or go off on your own adventure in Wild Florida. 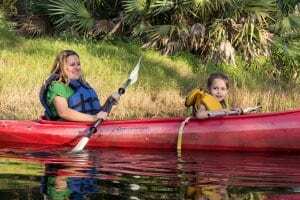 Kayaking tickets are available for purchase from Kayak Beach in Expedition Africa or the Zoo’s main gate. 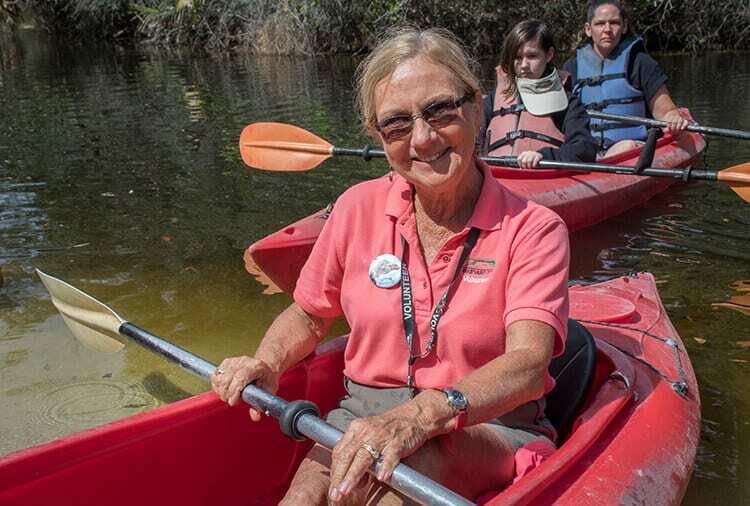 Tickets for kayaking in Wild Florida can be purchased at the Zoo’s Cape to Cairo train station or at the Wetland Outpost. 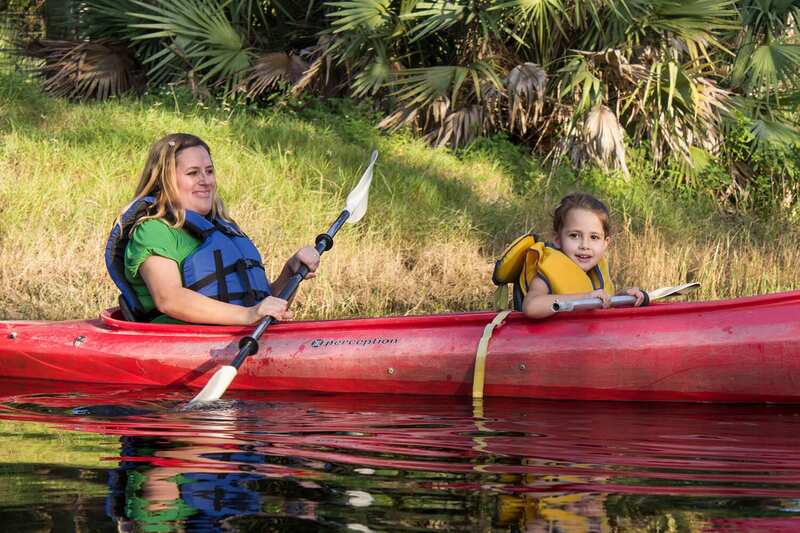 Children under 5 are not permitted to kayak and children under 12 must be accompanied by a paid adult. BUY 1 GET 1 FREE KAYAKING at the Zoo. In Florida, thunderstorms with lightning happen regularly. For the safety of our guests, the Zoo stops certain activities when thunder is heard. Our rule of thumb is to wait 30 minutes after the last clap of thunder before resuming kayaking.